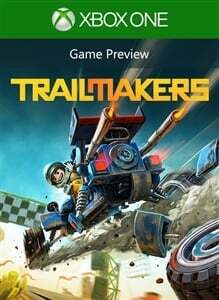 Trailmakers Achievements will appear here when available. Building a race car, airplane, helicopter or walking robot is as easy as playing with toy blocks. Take your machines on exciting rally races or build the craziest contraptions you can imagine, and test them in one of our huge sandbox maps. * Build intuitively with modular blocks - it is easy to get started, and the possibilities are almost infinite. * Go on breakneck rally races with vehicles of your own making. * Create without constraints in a sandbox full of jumps, half pipes and crazy obstacles. * Compete on the global leaderboards in rally and race modes. * Test premade vehicles from our gallery made by our active and growing community.